The Center for Climate Protection is committed to working on electric vehicles legislation because transportation is the biggest source of greenhouse gas emissions in the nation. Read about our success here. To learn how you can experience the high power and zero emissions of an electric vehicle, contact Doron Amiran (right) at doron@climateprotection.org. Electric vehicles (EVs) offer one of the biggest opportunities to address GHG emissions from transportation, and will help strengthen both the local environment and the economy. Electric vehicles are cleaner than gas cars, even when powered by coal. The best-selling truck in America is about to go electric, along with many other cars, trucks, and SUVs. Sixteen countries have taken action to move clean cars forward through various commitments (see the list at the bottom of this page). 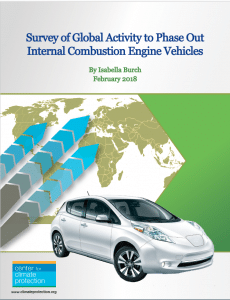 Click here to see a list of nations who have made commitments to phase out Internal Combustion Engine (“ICE”) vehicles. Click here to see a list of special interest groups who recently opposed clean cars legislation in California. 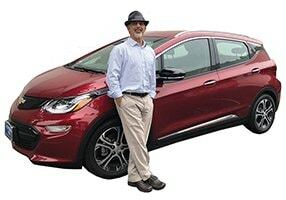 EV 101 is your resource for easy-to-understand information answering your questions about electric vehicles.